Scooper - Technology News: How much do you know about diabetes? The number of diabetics worldwide is expected to double in the next 20 years to 700 million, according to the World Health Organisation (WHO). This increasing prevalence, notably in low and middle-income countries, has led the WHO to focus World Health Day 2016 on fighting diabetes. By raising awareness of diabetes, and the global rise in cases, the WHO hopes to tackle the condition head on. In 2012, there were 1.5m deaths directly linked to diabetes, some 80% of which occurred in low- and middle-income countries, so the time for action is now. A chronic, non-communicable disease, diabetes occurs when the pancreas cannot produce enough insulin, or the body cannot effectively use the insulin it does produce. Insulin is a hormone that regulates blood sugar, vital for giving us energy. Without insulin, sugar can build up to harmful levels in the blood. This can cause damage to all our major organs, from our hearts to our kidneys. It can also cause blindness, impotence and infections that can result in amputation. Two main forms of diabetes exist. Those with type 1 diabetes generally make no insulin and rely on injections. People with type 2 (some 90% of diabetes sufferers) do normally produce their own insulin, but they either don’t produce enough or their body is unable to use it. The WHO argues that a large proportion of cases are preventable. Lifestyle has been shown to impact your chance of developing type 2 diabetes, with simple measures capable of delaying, or preventing, the onset of the disease. A healthy diet, physical activity and maintaining a healthy weight can all help reduce your risk. It has also been shown that a family history of diabetes can increase your risk. There has been a significant increase in the number of diabetics around the world, with cases set to double in the next 20 years. The consequences faced by sufferers are significant – their overall risk of dying early is twice that of people who don’t have the disease. It is already a significant killer around the world and, by 2030, it is expected to be the 7th highest cause of death worldwide. However, diabetes is both preventable and treatable. Lifestyle changes can help reduce the number of people being diagnosed with the disease, while diagnosis and access to treatment can help prevent complications and deaths. 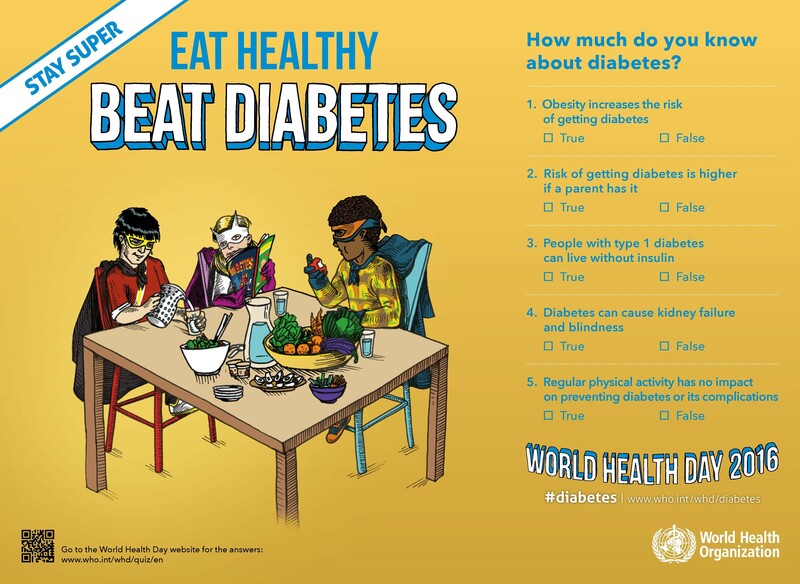 Achieving Sustainable Development Goal 3 (ensure healthy lives and promote well-being for all at all ages) requires stepping up efforts to tackle diabetes. What does the WHO hope to achieve? 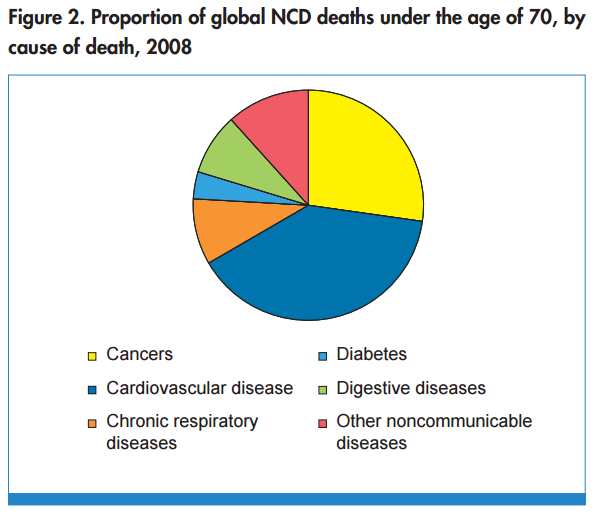 By raising awareness of the disease, including its causes and impacts, the WHO hope to reduce “its staggering burden and consequences, in particular in low- and middle-income countries.” By implementing change, it is hoped that stronger health systems can be developed, alongside increased awareness among the population, to help beat diabetes. As part of World Health Day, the WHO has put together a quiz to test your knowledge of the disease. You can take an interactive version here .